Tony Asaro works for the AAA Minor League Baseball team, the Sacramento River Cats. The same week that I gave a presentation to my school about making the choice to be drug free, Mr. Asaro also spoke to my school as a part of Red Ribbon Week. I was lucky enough to be able to interview at my school after he spoke to all of us at an assembly. Mr. Asaro is a really inspiring man! PMAKid: How did you get involved with the Sacramento River Cats? Mr. Asaro: My whole life I dreamed about being a part of baseball, and the path that got me - eventually - to the River Cats...I played baseball up until I was in college. I graduated from Sac State and then I worked for several years - about ten years - as a community schools director in the San Juan Unified School District. And then I left that. My wife and I - we started our family - and then I left schools, being a school person to own my own business. I owned a paint store downtown. I did that for twenty years, but I always volunteered my time, gave back to kids, and loved the game of baseball. So when the Sacramento River Cats came to Sacramento back in 1997, 1998, 1999, I volunteered to help them get back here. I did my job, but I did it as a volunteer thing on the side. Eventually, when they put the team together, they called me and they asked me if I would like to be the community person for the River Cats. I dreamed about it my whole life. That was the opportunity, so I reached out and grabbed it. I've done it now - I am going into my 13th season. PMAKid: That's cool. Alright, what exactly do you do for the River Cats? 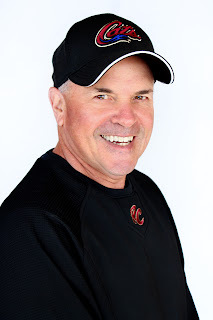 Mr. Asaro: As the community person for the River Cats, I develop programs for children and families throughout the Sacramento region to improve the quality of their lives. So I do all the educational programs for the River Cats. I speak to about 200 assemblies each year, like your assembly today, to help motivate them, to give them choices, to give them goals. They do the work, I just motivate them to do that. I speak to about 160,000 students. I do field trips. Have you ever been on a field trip before? Mr. Asaro: We do field trips out at the ballpark and it is about two and a half hours of baseball math, baseball science, baseball history with life lessons, character education, physical education at the ballpark so I see about 5000 students each year doing that. I do speeches for the Rotary Clubs, Kiwanis, Lions Clubs, all types of service organizations throughout the region. And then any special non-profit that comes to the River Cats, like the Players' Wives Food Drive where they raise money for families in need. I would coordinate that with the Sacramento Food Bank and family services, or breast cancer awareness or anti-drug messages. PMAKid: I've interviewed two people who are or were professional athletes - C.J. Wilson who is a pitcher for the Texas Rangers and Sacramento Mayor Kevin Johnson who used to play professional basketball. Working in professional sports, do you see a lot of problems with drug and alcohol abuse? What do the River Cats do to combat these kinds of problems? Mr. Asaro: A couple things - but first of all, let me tell you about Kevin Johnson. Did you know that he went to school here in Sacramento? Mr. Asaro: - and that he was drafted and played in the minor league system for the Oakland A's before he became a professional basketball player? Mr. Asaro: You should check it out. Kevin Johnson is an amazing individual. I'm impressed with him because he came home to take care of needs of the people here in Sacramento. He could have lived in any city in the United States as a multi-millionaire, couldn't he? Mr. Asaro: But he chose to come back here. That's cool. Mr. Asaro: - anything like that, right. And if a player tests positive, they are fined or suspended. Now the average AAA baseball player - the guys who play for us - make about $1700 a month. That's not very much money. If they make a bad choice and get fined, they can't afford it. They have to make good choices. Their dream is to make it to the major leagues. That's where they want to go, but they have to make good choices to get there. And not everybody gets there. PMAKid: Okay, these are a couple questions that I ask people, because it helps me learn a little more about them. What are your three favorite books? PMAKid: Yeah. Yeah. they did. Mr. Asaro: They were an average band in England, in Liverpool. They weren't an outstanding band, they were an average band. Mr. Asaro: Just your average, get together group of guys. Each year they would go to Germany and play in a festival that lasted eight days. There's a song they do called "Eight Days a Week". In that festival, they would play all throughout the night and day. They put in 10,000 hours plus playing. Once they did that, they became a more then average band. They became an exceptional musical group. The key to life is to put 10,000 hours of work into whatever you want to do, if you want to be successful. It's not just magic. You gotta work for it. So that's why I love that book. Two other books that I like are - let's see, two of my other favorite books - I read so much now. I have a book that I just finished on Jackie Robinson. It's about his time. It was written by Jackie. It documents his trip, his journey through sports, through life and how he broke the color barrier in professional sports, how he made the difference in the lives of others. In his book he talks, and talks, and talks about instances where he didn't think he could be successful. But he always did what he could do, not what he couldn't do. And so what he would tell his team mates, what he would tell his children, what he would tell the people around him, "we're defined by what we can do, not by what we can't do". I thought that was just an amazing book. Mr. Asaro: - Mr. Tuohy at an event here in Sacramento, and I was so impressed about the story about how Michael overcame all these difficulties in order to be successful in life. PMAKid: That's cool. What are your three favorite songs? Mr. Asaro: Wow! I got a lot of favorite songs. I like songs from the 1970s. I like artists from then. I like Man in the Mirror by Michael Jackson. I think that's a great song. Another song I enjoy a lot is by Jackson Brown. It's called...gosh...it's called Brown Eyed Woman. Another song that I really, really enjoy is by Third Day. They sing a song called I Believe. "I think that school is one of the most important things in life. Although its possible to be very successful without a college education I believe those stories are becoming fewer and further between. My father once told me that when you have a good education that you’re no longer at the mercy of business and I definitely agree with that. So, I really encourage people to go to college and go all the way to a masters, or even PhD, level so that they can have more control over how they’ll be treated as adults. " What are your thoughts on Aram's words? Mr. Asaro: I agree 100% with him. I think that each and every day, we continue to want to learn and need to learn. We don't stop learning at a certain level. I think college does that. There were many, many people before us - brilliant people - who never got the opportunity to go to college, but they continued to learn each and every day. So I think that is the key element. There are those who go to college just to go to college, and there are those who go to college to learn. I don't think that it stops at any age. I don't think that when you hit 23 years old or 27 years old that you're finished. I think that you learn every day of your life. Today - and I'm 62 years old - today, I was in an assembly with you, is that right? Mr. Asaro: And I learned something in that assembly. And hopefully, those that were in the assembly learned something from me. I think that happens every day. I agree 100% with you, with your father and with that statement by your friend Aram. PMAKid: A big part of my website is always trying to keep PMA - or Positive Mental Attitude. How do you keep PMA when times are tough or something bad is going on? Mr. Asaro: I use these words: "There's greatness within me, I believe. I believe there's greatness within me." No matter what the challenge that's thrown at me, no matter what negative things happen around me, no matter what my fears are, I say those words. "I can, I will succeed". And if you just say the words out loud to yourself, within you, you feel a confidence that you can be successful. Mr. Asaro: - You may run out of time to beat your opponent in whatever the contest is, but you'll never be defeated. Mr. Asaro: In your heart. You know that. You know that you've stayed true to what you believe. You stayed a person of character, no matter what. There are those who get victories, who get championships who cheat to get there. There is no joy in that. PMAKid: It's just - you do that that just to be there, to say "Yeah, I got here"
PMAKid: "I'm awesome", but then there's more joy in it if you try. Maybe you don't get there, but you know that you still tried and you didn't cheat. Mr. Asaro: Right. You stayed true to the character of who you are and what you believe. As long as you do that, you cannot be defeated. The score may be different. You may not have the winning score, but you cannot be defeated. PMAKid: How stressful is it for the River Cats players who are trying to make it up to the major leagues. Mr. Asaro: They have a lot of stress on them, and sometimes their minds get ahread of where they should be. Their dream is to get to the major leagues. I told you they make $1700 a month. The day they get up to the big leagues they may $1700 a day - minimum. That's a lot of money. But you know what AL the money in the world, all the things, all the stuff that we have around us, the technology and the things like that, we don't own any of that stuff. We're just borrowing it. I think that when they stay true to themselves and they do the best that they can - that's the key - do the best they can at what they do. And maybe a little bit more. Then the stress goes away. The fear goes away. But if they keep thinking about "I've gotta get there. I've gotta get there. I've gotta do this." or "I know I'm better then that person and I deserve to be there before that person". Don't live your life that way. Live your life with a positiveness around you, not tearing down somebody else, but taliing you up. Mr. Asaro: That's when I was talking about how he defeated his opponents. He did not talk them down. When they said "I'm gonna do this to you", he would start talking so loud, that you couldn't hear the other person. PMAKid: Right, cool. Okay, here's the last one. PMAKid: Sure. If you could have any job besides what you do right now, what would it be? Mr. Asaro: Wow, you know I have a lot of jobs. I'm in community relations for the Sacramento River Cats, but I'm also a husband, and a brother, and a son, and I'm a father of children, so I have lots of jobs. I love all those things in my life. I love my friends. I think if I couldn't be what I do for the River Cats, I would love to be a teacher and a coach. Those two things I enjoy - if I had to have a job that made me money, I would do those two things. Not for the money, but for the joy of what happens when you teach. I admire teachers. I'm not sure I could be a good teacher, but I think I would enjoy that. I love coaching - I love teaching there too.